I don’t know about you, but the fall and winter seasons are “book season” for me. I am spending more time indoors and more time feeling cozy. And there’s nothing more cozy that curling up with a blanket, a cup of tea and a good book. And while I have a list of books I want/need to read that is a mile long, I also have a list of favorite books that I like to revisit. My all-time personal favorites that never get old. This list is in no particular order because the act of picking a number one fave is just frankly too difficult. Sarah Waters is one of my favorite authors. Her stories are smart and cunning. There is always a twist and it’s never one you would suspect. Her female characters are complicated and fully realized. Tipping the Velvet is her first book. But I had’t read it until after I’d read her third book (also a fave on this list), Fingersmith, and was blown away by her story -telling. Tipping the Velvet is her most well-known story that was even turned into a BBC Series in 2002. I had such a hard tie choosing just one book to pick by Alice Hoffman as she is one of my favorite writers and I love so many of her books. I decided to go back to the book that started it all for me and made me double-back to all of her previous work. The Probable Future - like all of Hoffman’s books center around women, sisters, and families. You will find this to be a theme among my favorites. I love books by women and about women. Women’s stories are so often over-looked and when they are written are often written through the prism of the male gaze and point of view. Alice Hoffman writes thoroughly realized female characters. You had to have been living under a rock this past summer if you managed to avoid the buzz surrounding the HBO mini-series based on this book. Starring Amy Adams and Patricia Clarkson with a screenplay written by Flynn herself (and directed by Jean-Marc Vallee who directed Big Little Lies) it was a tour de force show. And was mostly faithful to the book. I had read the book after Gone Girl, the book that catapulted Flynn to stardom.. Gone Girl is good. 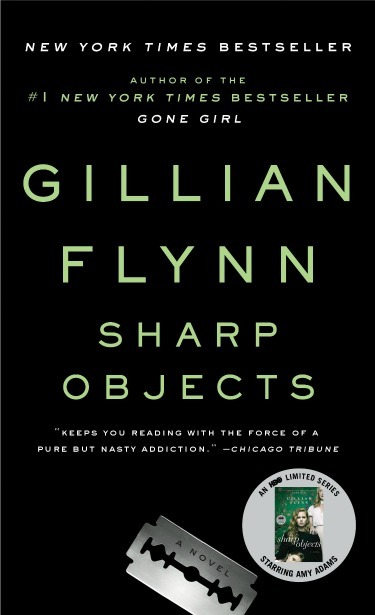 But Sharp Objects, her debut novel, is better in my humble opinion. If you have read none of Flynn’s work I say start with this one and go in chronological order. A modern day classic. This entire series is amazing, but the first book sets the tone for what follows. The Girl With the Dragon Tattoo has been made into not one, but two films (one starring Noomi Rapace and one starring Rooney Mara). The protagonist is Lisbeth Salander. I cannot recall a character in recent literary time that has such a presence. You know who she is as a person. She stays with you. I read this book once all the hype surrounding it had died down. I tend to do that as I like to judge a book based on my own thoughts and not the buzz surrounding it. This book and the series more than lived up to it’s hype. It is a smart mystery, with shocking twists, and an amazing female anti-hero. I went through a phase in my early twenties where all I read was Anne Rice. I loved her books and still do. She is one of the few authors whose books I revisit and never get bored with. 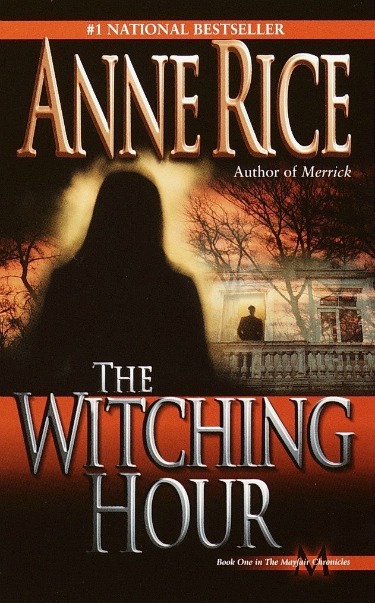 And while her vampires series of books is great it does not hold a candle to the epic and sprawling tale of The Witching Hour. The first in a series called the “Mayfair Chronicles” it tells the origin story of a family of New Orleans witches called The Mayfairs. And when I say origin story I mean origin. Dating back to the 18th century and Rome, this is a soup to nuts kind of book. It is not a light read. And of all the Anne Rice books I’ve read it is the only one where I felt compelled to turn all the lights on in my house while reading. Neil Gaiman is one of those authors that I recommend everyone reads at least one book by. If you’re into darker, trippier, more caustic fare I suggest reading American Gods. If you love whimsy, fantasy and to swept up in a story that feels both of this world and not I suggest Neverwhere. I also suggest it because it’s my fave of all of his books. Taking place in London in a world called London Below. The book was originally written as a companion books to a BBC TV Series (that starred a yet to be famous, Benedict Cumberbatch). While the show never really took off, the book has become a classic among Gaiman fans. It follows the story of a businessman from London Above (the “real world”) named Richard and his adventures with a girl from London Below named Door. It’s a lovely story full of fantasy, adventure and intrigue. The book that started my love for Sarah Water’s work. Fingersmith is the third book written by Sarah Waters. And it’s still my fave of all of her books, with Tipping the Velvet being a very close second. Both books feature complicated female characters and both have twists that are mind-blowing. But Fingersmith’s twist is perhaps the most shocking. And everything that happens leading up to it is compelling. It’s a page-turner of a book. Waters is known for writing mysteries with great plot twists (she also wrote books that center around the supernatural like her books Affinity and The Little Stranger). Both Fingersmith and Tipping the Velvet feature these themes. But Water’s writing rises above any perceived “niche”. Her stories are simply good. This book holds a special place in my heart. And if I were forced to pick my Top Five favorite books of all time this would definitely make the cut. Even dare I say, take the number one spot. If you saw the film version of this book starring Eric Bana and Rachel McAdams and are thinking, “why would I want to read that book? That story is trash!” Please delete that terrible film adaptation from your memory and read the book. I implore you. It’s a million times better. Like on another planet better. I saw that film with a friend of mine who also adored the book and when left the theater in vacillating between rage and disappointment. I will stop ranting about the film and tell you that this book is magical. Seriously. And on top of the magical and detailed writing it takes place in Chicago. As a Chicagoan it is always fun to read books that take place here. And Niffenegger is a Chicagoan herself. Her references to neighborhoods and places is spot on and gives the story major authenticity. Especially when the story is about a man who can time travel. What I love most is that Niffenegger doesn’t insult the reader. She sets up clear rules about Henry (the protagonist Time Traveler) and his ability and she sticks with them. And these rules play a huge part in the story and it outcome. The Time Traveler’s Wife is a sci-fi story set in a realistic place, and a sweeping love story all at the same time. I had a hard time picking a tenth book. Truth be told my favorites list is much longer than just ten books and maybe someday I will sit down and write a comprehensive post about all of them. But I wanted to keep this post to ten books since I think that is a realistic number of books to works one’s way through during fall and winter. It is perhaps too many but if you are a quick reader like myself, or simply an ambitious one I think it’s doable. As I scrolled through my list of faves: I use the Goodreads app to keep track of books I’ve read, books I am currently, reading and books I want to read. It also has a great community of reviews and suggestions for books. The Thirteenth Tale is a book that sneaks up on you. I have to admit that when I first read the synopsis for it I was a bit meh. It didn’t sound boring but it didn’t sound like much of a page turner either. I was so wrong. The story centers around a famous writer, Vlada Winter who has avoided the spotlight and requests to interview her about her own life for decades. Now elderly, she finally allows a young writer by the name of Margaret to come to her home to interview her. The book is the story that the Vlada tells to Margaret in that single night. The story that unfolds is gothic is and mesmerizing. I hope this list gave you some inspiration and ideas of books to read this season. It’s certainly inspired me to revisit some of them. I always liken favorite books to old friends. What are some of your favorite books that you recommend? Let me know in the comments! Happy reading!